Ravi Shankar needs no introduction as a performer of classical Indian music on the Sitar and as a versatile composer. 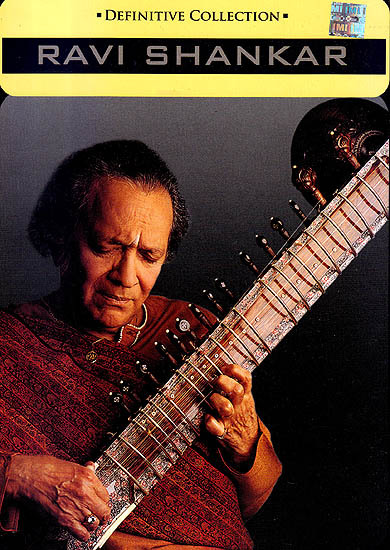 In the Ravi Shankar project he joins in a unique collaboration with co-producers Frank Serafine and Private Music’s Founder peter Baumann. Tana Mana is Ravi’s latest studio recording and his first release with Private Music. The Ravi Shankar Project combines the rich texture of tradition Indian instrumentation with the modern technology of Synthesizers and digital sampling keyboards. Tana Mana which means body and mirrors Ravi’s ability to crate a dynamic blend of the old and the new it is an imaginative recording which Ravi believes will appeal to the widest range of music lovers from fans of classical to progressive to Jazz.